Nothing mindblowing today but I just wanted to share with you my end-of-the-day clean-up routine. I know that sometimes this time of day can be completely chaotic, but I have tried my best to cut down on that and have us end with calm. Here is what I do. I start about 25 minutes before the dismissal bell rings. I begin by announcing that I am "looking for people who are ready to go home." This is students' cue to sit down, clear off their desk space, and look at me. Then, we have our 60-second clean up (I wrote in detail about that here), our 15-second box clean and our 15-second furniture straighten. This is an old picture. Homework has changed a bit. Then, I ask the kids to take out their planner and we go over the homework. I have the assignment written on the board, and used to just have them copy it down, but I have found that if I *also* say it aloud, the kids have a higher rate of writing it in their planner and not missing any homework assignments. So I orally go over the assignments. When the kids finish getting ready and have a clear desk, they join me on the rug and wait for the majority of the class. We then begin our read aloud. We read the story until the bell rings. What I LOVE about this is that there is a built-in incentive to get ready for the day quickly: the read aloud. My students can not wait to hear the story and they want as much time as possible to be able to listen. So they clean up FAST! And since we are reading, it is calm, cool, and collected in my room at the end of the day. And, just to make back to school a little easier for you, I am giving away a $25 gift card to TpT that you can use to buy all those great things that I know are on your wishlist right now :) Just enter the rafflecopter below. I will choose a winner Sunday night at 8pm EST. Thanks for the tips! That time of day is my least favorite. Unfortunately, we have RTI right up to the bell with no wiggle room. Gotta be creative! I'm new to elementary but my plan is to assign jobs so each student knows what to do! We do a simple overall assessment of everything that was done and then have snack time. I like your idea of using the read aloud AFTER pack up and clean up! Our dismissal lasts FOREVER since our kids leave at staggered times. 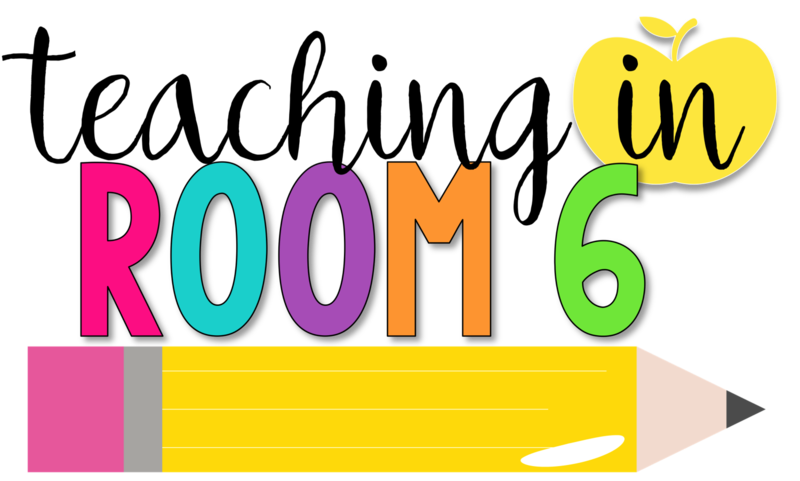 We do a 60 second clean up and then the students read, write, or work on homework. Sometimes they'll just draw or sit quietly. I like to call students to pack up a few at a time and then we meet on the rug to read a story too! The end of our day is hectic because we switch classes. So I try to calm the class by playing quiet music for 30 seconds to get their attention so they can pack without panicking. I do Ticket Out the Door. Then, once they have added their Post-It Notes to the board, we play Magic Garbage. If time permits, we will do GoNoodle. I usually end with finishing up our core reading time, but I LOVE the idea of saving a fun read-aloud for the very end of the day!! I end by having students give a rating from 1-10 of their day and an opportunity to say thank you to someone if they helped make their day better. The kids leave feeling so happy! My last period is me teaching math. I cant cut it too short. I have 6th graders and they are very motivated to go home. We spend about 5 min putting up and packing up and picking up the floor. My routine is similar, but students have to show me that they have everything they need before I initial their planners. I had too many people forgetting their things, so I had to incorporate the final check-in with me as part of our routine. I love the idea of ending with a read aloud! I am going to try to start that on Monday. 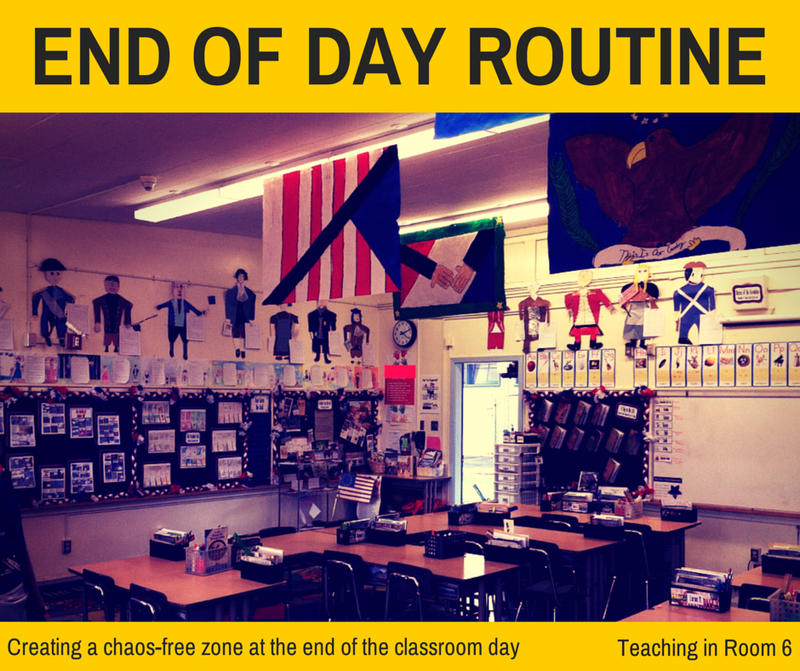 I'm a new teacher so any suggestions on end of the day routines are helpful! I am departmentalized this year and will have two groups of students. I am trying some new organizational things with storage and supplies to keep as much out of desks as possible. We are going to try individual supplies vs. shared supplies in hopes that students will treat them better. We work to the very end! I dismiss the pick ups first (as they get called first), and the bus friends help pick up the room until I call for them to get ready. It helps limits the amount of kids that are out in the hallway! We end the day by putting everything away so it's ready for the next day. If we clean up quickly we have time for a two-minute dance party. I put on my Pandora Disney station and we get silly. It's a fun way to end the day. Our routine is similar to yours at the end of the day, although rather than a teacher-directed read aloud, we have our Author's Chair sharing at that time. Students settle down pretty quickly so they can hear the stories their peers have written! It's definitely a favorite time of the day for the kids, and for me!! I like to end the day with a read aloud, too. We pack up and read. I teach at a Catholic school, so we end our day with prayer. My routine is chaotic. I am going to try out your idea. I love the read aloud at the end of the day. It is a great way to end the day in a positive note. We clean up, write in our planners, and get our things from our lockers. A lot more chaotic than yours! I do a ticket out the door or a fun review game. We do an exit ticket, clean up the room, and do a GoNoodle if we have a few extra minutes! After everyone has their assignment notebook filled out, one student (the week's teacher helper) grabs a Post It note and says "What did we learn today?" The students recall all of the memorable things from the day as the teacher helper takes notes on the Post It note. Then he/she sticks the note on our special poster on the door. After a few months the poster really gets filled with lots of notes and it's great to look back on them throughout the school year! Classroom jobs and sometimes we watch Brain Games if there is time. Rebus puzzles are fun too! our resource time is pretty much until the end of the day we have the perfect amount of time to clean up and pack up after resource. Students pack up quickly because they know they can do some go noodle or watch a favorite video from the days lesson if they pack up quick enough. High five, have a great night, do something fun, and I'll see you tomorrow, all said with a smile!!! At the end of the day after all is cleaned up I let them play a game or do just dance. When I had a particularly hard to handle class a few years ago, I put on Netflix because if they got our of their seats at all, some sort of physical altercation or verbal attack would happen. It was a very, very hard year. Thanks for sharing your routine. Dismissal is a very hectic time of the day. Play a 5minute song which signals we are starting our pack up routine. Students are dismissed one group at a time staggered to avoid traffic jams, to go to their mailbox, organize their take home folder, pack their back packs stack their chairs and line up. The students' goal is to be done by the end of the song. Love the idea of the read aloud- definitely going to add that in this year. We come in from recess 30 minutes before the end of the day so it's even harder to get them refocused. Our end of the day routine involves Find It Fix It. We take one minute to play and the whole room gets clean. My favorite part of the day! We fill out our assignment notebooks, Dojo sheets, and complete our classroom jobs. I just started Dojo this year. What are Dojo sheets? I have a homework helper who helps put together the homework pages. Our end of the day is very similar. Instead of a read aloud we do Brain Quest. Students win M&Ms for the questions they get right. I love your end of the day routine suggestions. Just finished the first week with my first graders. I hand out homework folders while they clean and pack. And yes, it's quite chaotic, especially since they are not yet used to having their own desks and supplies to put away. I will be implementing your ideas beginning Monday! Thanks so much!! After reading Learn like a Pirate I do GREARJMCL (goal setting, recap, evaluate, reset, jobs, mail, chairs, lineup) but after reading your post I'm thinking about changing it up a slight bit as I really like your reading idea. Thanks for sharing your routine for this most hectic time of the day! Lots of great ideas in the comments, as well! I love your ideas! I've done something similar but didn't always include read aloud. Go over homework, write on logs, clean up, quiet clean group goes 1st! I'm still looking for a good end of the day routine that fits me and my students. The only consistent thing I do right now is play classical music. Thanks for the ideas. Clean up and Stack and Pack. If we have a few extra minutes, we do a quick class meeting to review and prep for the next day. I end with a read aloud and filling out planners! We only have a few minutes to clean and pack up before the bell rings. Occasionally we'll get lucky and have a minute to read aloud! We pack up and reflect on the day, students share one thing that they are going to talk to their family about from their day. After the jobs are done and everything is packed, I love ending with a read aloud! i get everyone to fill out assignment notebooks, work on HW and pack up. i like to play music while the kids work. My end of the day routine is pack up, clean up, and sometimes a PBS kids video! We sing a special song that my grandmother and aunt taught me when I was little. It is called The Pigeon House and has cute hand motions. We sing songs and tidy up. That's our cue for home time. Thanks for the quick tips. It's always great hearing what other classrooms are doing to see if there is anything we can change up to make the process more efficient. I always tease or preview tomorrow's activities to build excitement. I love the simplicity of your routine. The use of a read a loud as an incentive will definitely be a suggestion to new teachers I work with this year. Although it may seem chaotic, each table cleans their area and each team leader prepares for the next day by getting the homework checklist and whatever work/supplies the team might need for the next day. Last year, in the last 8 minutes of the day everyone worked together to pack and clean the room but I love your idea! 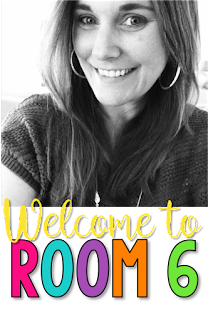 I am going to try classroom jobs this year so I might try your routine! I like the way you have students sticker/stamp the assignment books. I might try that this year. I end the day with silent reading, but I might try a read aloud this year. I love to end the day with a read aloud. I end the day with a go noodle break. It gives my mailbox student a chance to put things in our mailboxes at the end of the day! We have recess at the end of the day, so we pack up and get ready for home prior to recess. We end the day reading to ourself or doing a reread with a partner. One student will spend the last 10-15 minutes reading to me or we share a book together. They love when its their turn. We do cleanup, get papers from mailboxes, stack chairs, and line up. If we have time I'll ask some Would-You-Rather questions. I end the day with trivia. The kids get ready to go and as soon as they are seated and quiet I pull out the game cards. I use the cards for games like Trivial Pursuit, etc. If they get the answer right, they get a piece of candy! The kids are eager everyday to play trivia and leave happy! We are supposed to teach Bell to Bell and are only allowed about 10 minutes for end of the day clean up/pack up. y kids know if they can get it done quickly, they will get a Go Noodle until its time to go home. We end the day with 10 minutes of recess, then the principal makes announcements. Our end of the day is similar. 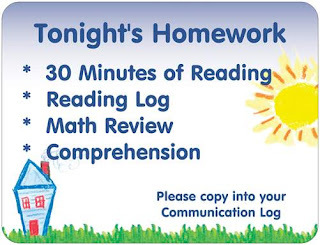 Students record homework, clean and do their classroom jobs. I am craving more calm this year, especially with more kids in the room. After packing, I have my 4th graders come to the rug and we do a bible reading with our afternoon prayers. I check planners and review information with my students. We meet on the carpet to review the day and then go over anything that's coming up the next day! My students LOVE the preview of the next day! The end of the day is a bit hectic as the kids are returning from switching classes. We fill out planners prior to their switch so they can put materials away and be ready for dismissal. Some days I teach right up to dismissal, some days they have Independent Reading time (which they love). 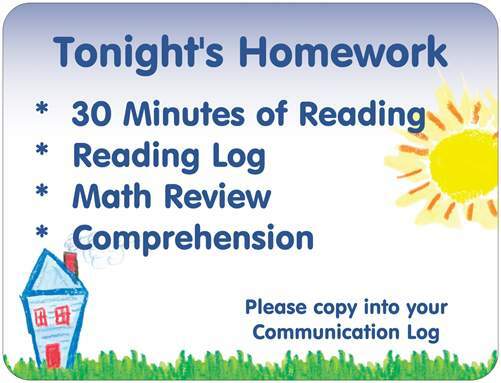 End of the day in my 6th grade class is typically used for homework head-start or independent reading time. I also use the end of the day to go over homework and clean up. This year we end our day coming back from recess. Still trying to figure out my routine for that one. Can't stand going to recess and the end of the day! We end the day by sitting on our desks waiting for announcements after we are all cleaned up and packed! Interesting that you get more results by going over the homework than by just having them copy it into their planners! They do write it in their planners. I just make sure that I orally recite the homework to them while they write it in their planners...That way they hear it AND see it. I love the idea of the 60 second clean up. We end our day discussing the pit and peak of our day. I have also had homework buddies check planners to make sure all is copied. We end the day with a quick room clean up and a check to be sure unfinished work is in their book bags. We make this speedy so we get as much learning time as possible.